SEASIDE, Ca., Oct. 30, 2017 – California State University Monterey Bay’s (CSUMB) Native Advisory Council (NAC) will host the third annual Native American gathering at CSUMB on Saturday, Nov. 4, 2017. The gathering, taking place on the land of the local Ohlone/Costanoan-Esselen Nation, is held in recognition and celebration of our Native American students and is the only event of its type on the Central Coast. 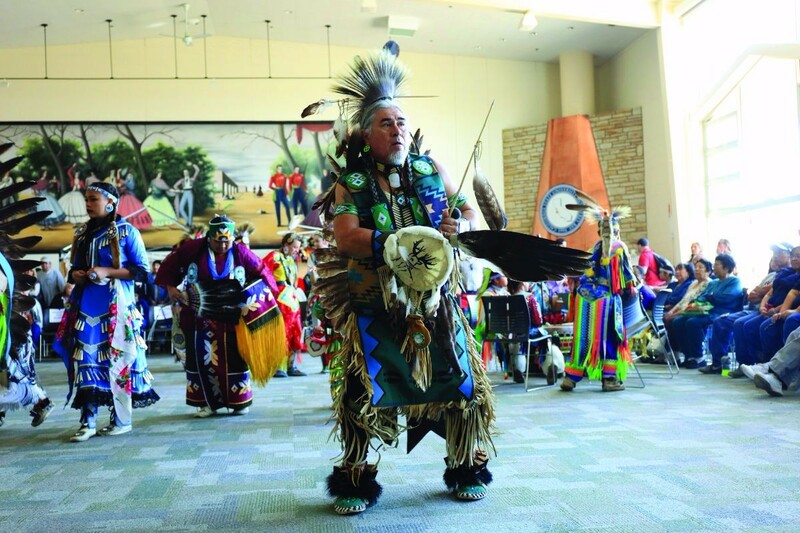 The gathering, free and open to the public, allows attendees to experience the rich Native American cultures and traditions through music, food, dance, historical exhibition and Native craft-making. Last year’s event drew nearly 1,000 visitors. The event will include powwow dancing, cultural arts-making workshops and historical exhibitions. Native craft vendors, informational booths and culturally-appropriate foods will also be available. The 3rd Annual Native American Gathering will take place at the University Center on November 4, 2017, from 10 a.m. until 7 p.m. To learn more about the Native American Gathering and for a tentative schedule of events, please visit the event website.